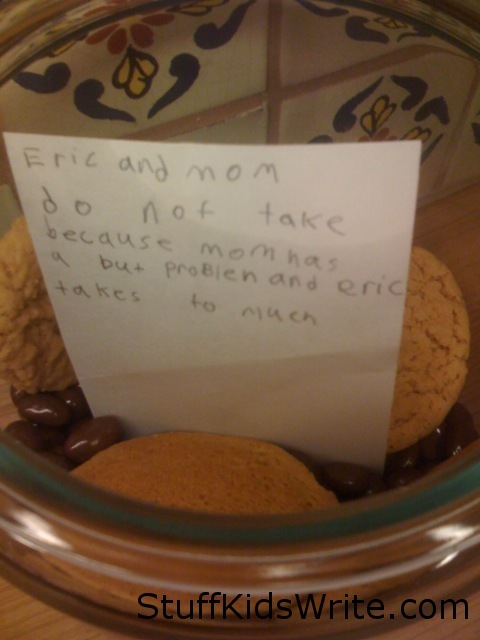 Ethan’s family had a funeral when his sister’s fish died. Ethan wrote a eulogy of sorts to commemorate the tragedy. Death has never been described so succinctly. Admittedly, not so great for Mr. Bubls (RIP), but good for us, even though we do fell bad. Sir Mix-A-Lot Doesn’t Think It’s a Problem! 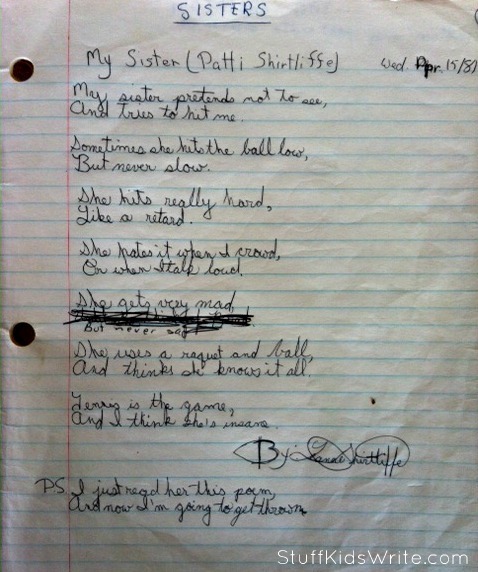 When I was ten years old, I decided to write a poem for my sister, Patti, who was six years older than me. Patti loved playing tennis against the garage door of our giant machine shed and would spend hours doing this instead of playing with her little sister who followed her around when we weren’t doomed to cut acres of grass or pick the evil weed portulaca from our garden for two weeks. My poem showcases my tennis-loving sister. It does not showcase my adoration of Patti, whose birthday was this past weekend. The crossed-out line reads: “Until she thinks of Brad.” I suspect I edited this because I knew Patti would smash a tennis ball at my face if I read it to her. 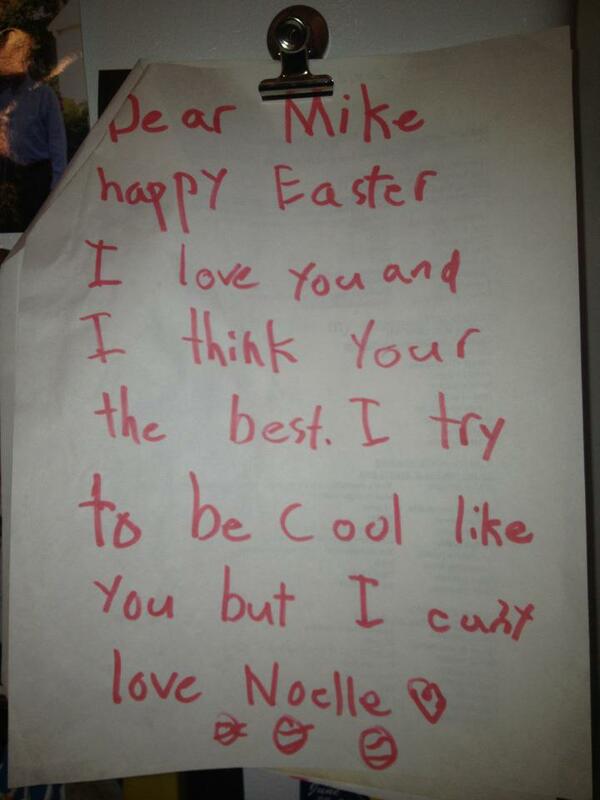 Do you have any funny writing from when you were young? 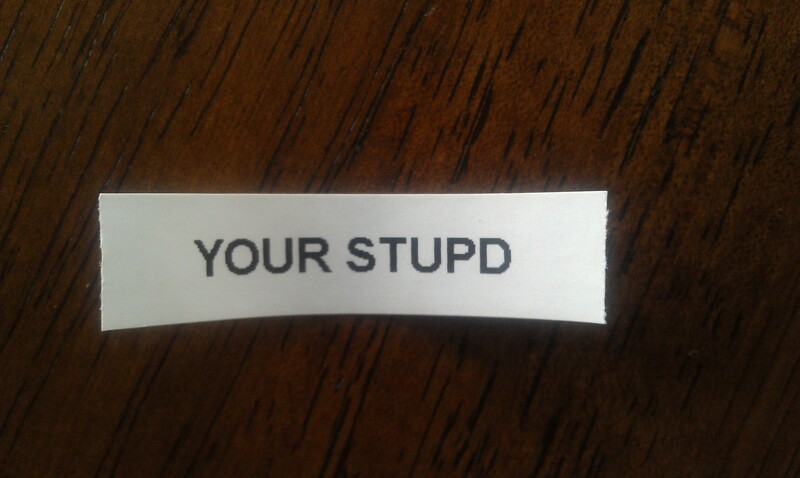 Please send it to us at StuffKidsWrite(at)gmail(dot).com. P.S. – Light a Match or Something! Jake has a little sister. She’s 10. We think she’s got a terrific sense of humor. 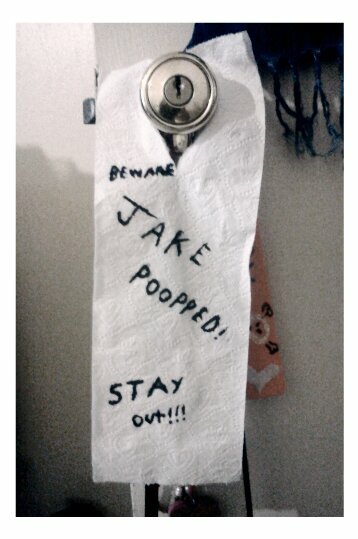 Jake may not agree. Thanks to Vicki for this submission. Check out her blog Where the FuhKaui? Don’t worry: it doesn’t stink.